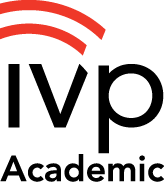 IVP Academic is the academic publishing imprint of InterVarsity Press. We publish titles and textbooks that facilitate the broader conversations that are taking place in the academy and the church. Engaging in the most important issues, we offer texts that enrich the study of scholars and cater to students and courses of all levels. PROFESSORS | Request a free exam or desk copy for potential classroom adoption. Plus, sign up to get a 40% professor discount on anything you order by calling the Customer Contact Center at 800-843-9487. Looking for new perspectives on topics you care about? Browse these recent and upcoming releases from IVP Academic.